Everything you love about Jalapeño Popper Dip mixed with shredded chicken to create one tasty dip! I love to make them for snacks, parties, or just while kicking back watching football. Lately I have been enjoyed sharing some of my favorite game day dips with you like my Crab and Artichoke Dip and BBQ Chicken Dip. 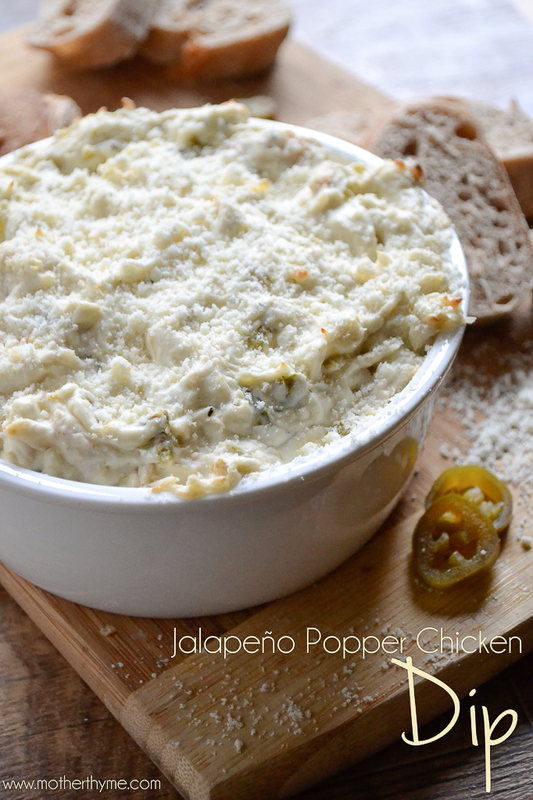 This Jalapeño Popper Chicken Dip is everything you love about Jalapeño Popper Dip with the addition of chicken. Serve it alongside baquette slices, for a dip that will vanish in seconds. 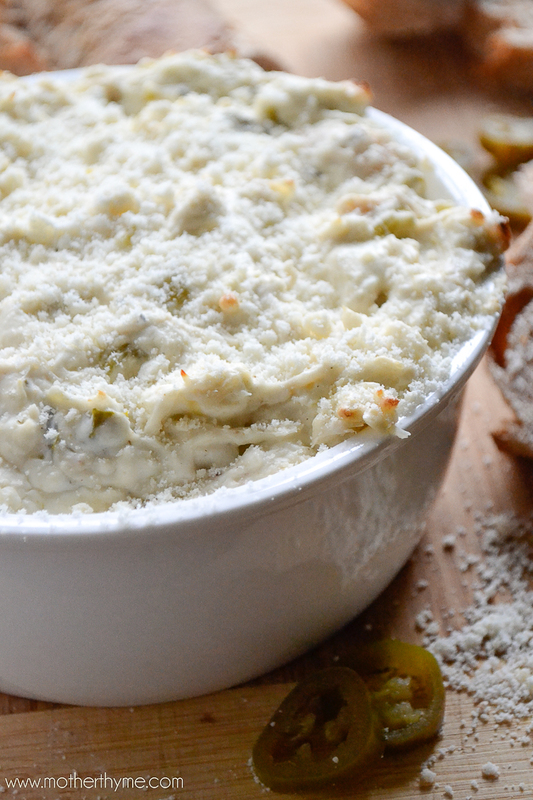 With the holidays around the corner, this dip is great to make for all your holiday gatherings. 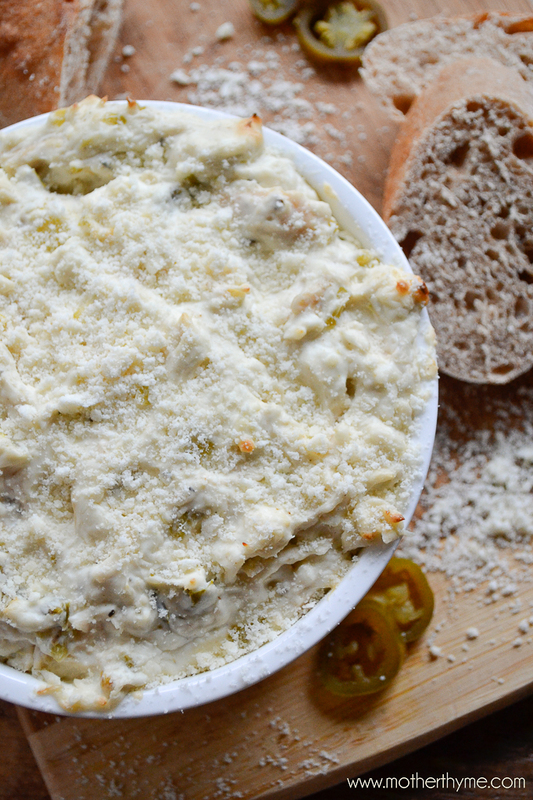 And if you are heading to one, bring this Jalapeño Popper Chicken Dip and you’ll be the hit of the party. It is so easy to make. You can use leftover chicken you may have on hand, or what I always like to do is to pop a few seasoned chicken breasts in the oven and bake them for about 40 minutes. Once the chicken is cool to touch I shred it up and whip up the rest of the dip. This creamy dip will quickly become one of your favorites. It is not too hot or spicy and has great flavor with just a little kick that blends nicely in this creamy mixture to create one tasty dip! Spread in a baking dish and bake for 15 minutes until hot and bubbly. Sprinkle with a pinch of Parmesan cheese. If you don't have cooked chicken on hand, you can place 2 boneless, skinless chicken breasts on a foil lined baking sheet. Sprinkle with salt and pepper and bake in a 350 degree oven for about 40 minutes until cooked thoroughly. Remove and let sit until cool to touch. Shred with a fork. One of my favorite dips of all time!! Thanks for the reminder! I’d be in trouble if this was put before me. This could be my dinner! mmm . . . I LOVE every single ingredient in this dip. I love making dips for gatherings, too! But, I especially love how you did this recipe… jalapenos are my most favorite part of the food group. If that’s a food group– it’s in my kind of food group! Ha! Such a great dip, perfect to serve to a crowd! Looks awesome! My husband would LOVE this!